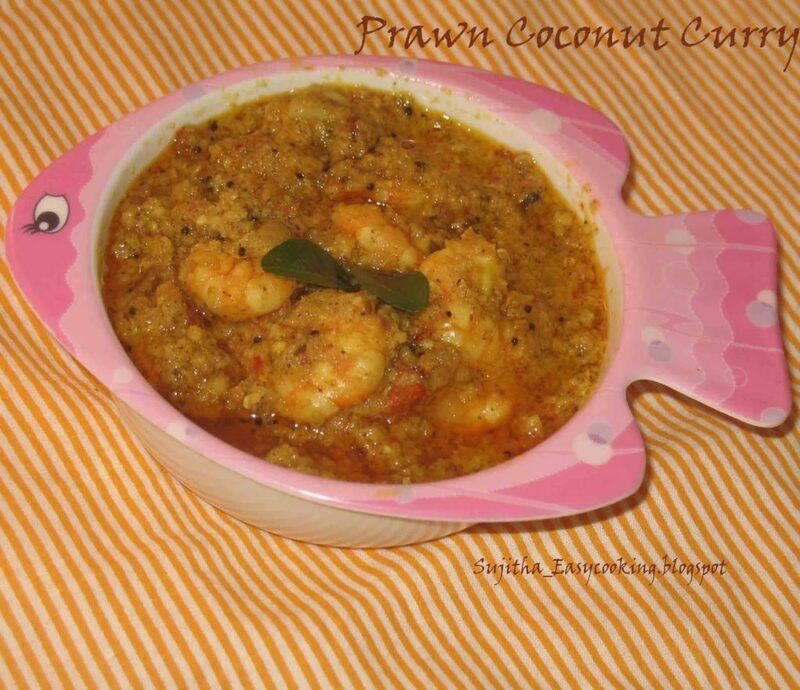 This post definitely attract the Sea food lovers to give a check… this delicious curry taste heaven with veg fried rice .. i usually prepare prawn fry or any dry dish this time for an change plan to do this curry… The delicate flavors of Coconut are a perfect compliment to the taste of Prawns..
* Lets Start with making the masala first…. Grind the ingredients under the list for grinding.. This Curry perfectly goes well with Roti’s and Any type of rice… we had this yummy curry with Veg fried rice…..